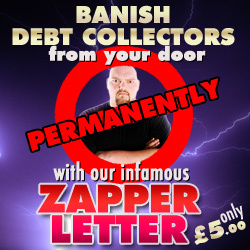 As more and more people resist the thuggish and unlawful tactics of bailiffs and debt collectors in these cash strapped times, the local authority are resorting to increasingly underhand methods to force people to hand over money they just don’t have. One such method is to ask the police to be in attendance with bailiffs so those unfortunate enough to receive the knock at the door will believe they are under threat of arrest if they don’t comply. Well unless the police are serving a search or entry warrant of their own, they have no authority to enter your home and you should keep them locked outside alongside the bailiffs. Furthermore unpaid debts that have resulted in court proceedings are a civil issue and the police should have no involvement in them whatsoever. The police claim that the only reason they are in attendance with bailiffs is in case there is a breach of the peace. This is a lie. The real reason they are there is because they are acting as blunt instruments of the state. Serving their local authority masters by putting the frighteners into the public in the hope that they can extract some unpaid parking tickets, or outstanding council tax. No matter what excuses the police make, if they arrive at your door with the bailiffs, they are there for one reason: Leverage. 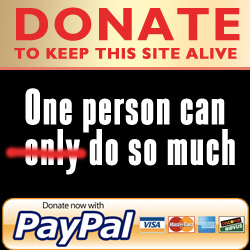 They want you to believe that if you don’t pay you could be arrested. Well don’t be intimidated by the police assisting these doorstep cockroaches. 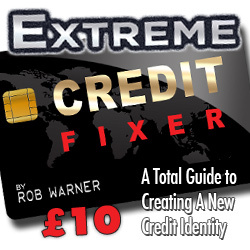 All they are waiting for is an opportunity to help the bailiffs invade your home. The police are ignorant toward civil law. They know nothing about the limited powers of bailiffs and will automatically take their side if given the opportunity. 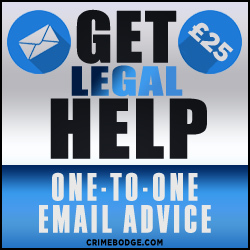 Never ask the police to clarify your rights in relation to a bailiff because they won’t know. Worst still they will probably just spout myth, opinion or rumour that will entirely favour the bailiff’s position. The police should keep their mouths shut when attending with bailiffs. Any officer that opens his mouth to speak on a bailiff’s behalf or interject when he has no right, has overstepped his authority and should be reported for misconduct. 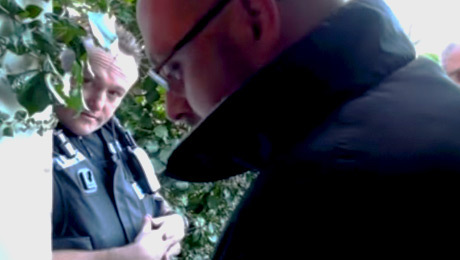 The police regard bailiffs as one of their own. They will always be ready and willing to overlook unlawful attempts the bailiff makes to enter your property. If the bailiff puts his foot in the door, pushes your door open while you are trying to close it or uses offensive language or intimidating behaviour then the bailiff is breaking the law. Don’t expect the police to pay any heed. They will invariably do nothing. For these reasons it is advisable that you record everything that happens between yourself and the bailiff. The police will often ask that they come into your home to speak to you. They will then open the door so that the bailiff can walk in behind them. If the police arrive at your home with bailiffs, wherever possible, DO NOT OPEN THE DOOR. NEVER ALLOW THE POLICE INTO YOUR HOME. You do not have to speak to them. You do not have to let them into your home when requested. You don’t even have to answer the door to them. If the police help the bailiffs walk into your home by way of demand, they will most certainly lie about it later. They will state that you invited the police and the bailiffs both into your home and that no trickery or unlawful access was used. In almost 75% of cases where the police have assisted bailiffs door to door, the subsequent entry and seizure is unlawful. 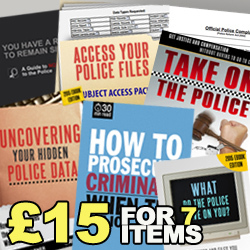 If you have had the police abuse their authority in such a manner and help a bailiff obtain access to your home, then even if goods were seized and subsequently sold, the possession of such goods were most likely unlawful. You can begin a civil claim against the police and the authority that sanctioned the bailiff. You can most likely reclaim every penny that was taken as well as obtain substantial damages for the harm and distress that was caused. IF IN DOUBT, CALL THE POLICE! Sounds ridiculous, right? The police are at your door totally abusing their authority, and yet we advocate calling the police on the phone where surely all you can expect is a further abuse of authority? But if you believe the police to be acting outside of their authority, assisting the bailiffs or just ignorant toward the law then you have a right to call 101 and speak to their superior. Each force has guidelines that have been laid out by the Home Office that explain clearly how police officers should behave when attending with bailiffs. Ask to speak to a sergeant or superior who can clarify these guidelines to you in front of the police officers at your door. Remember, all police phone calls are recorded. If they refuse to help or fail to give you the relevant information then each officer concerned could be charged with misconduct.